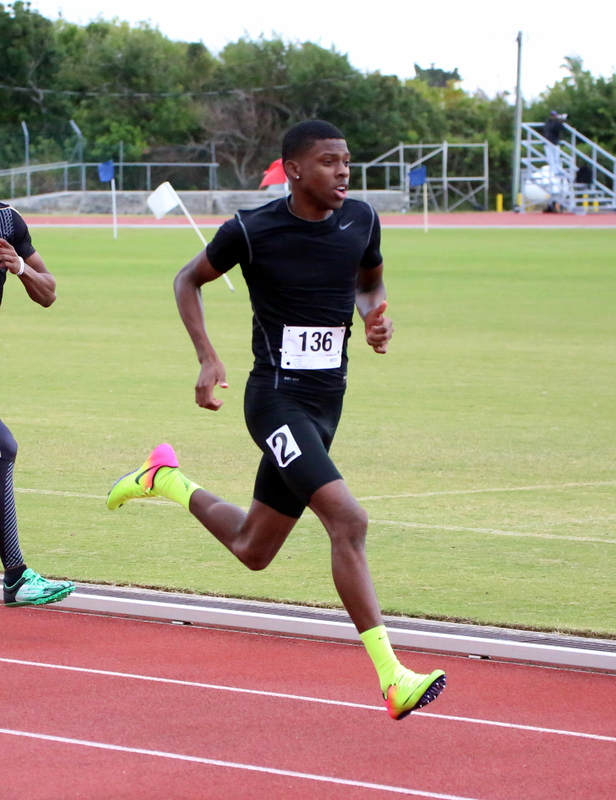 The Bermuda National Athletics Association hosted their 2nd Track Meet of the season at the National Sports Center. Ramiah Brangman won the under 17 Girls 800 Meter Run clocking a time of 2:37.94, Koa Goodchild was second in 2:40.38 and Meron Simons finished third stopping the clock in 2:46.55. The Under 17 Girls 200 Meter Dash was won by Sanaa Rae Morris who was clocked at 27.31, Keturah Bulford-Trott was second in 27.44. The Under 17 Boys 1500 Meter Run saw Tommy Marshall cross the line first in a time of 4:39.46, Kahzi Sealy finished second in 4:45.34 and Nick Pilgrim finished third in a time of 4:48.34. Clevonte Lodge-Bean won the Under 20 Boys 400 Meter Dash when he was clocked at 49.55, with Mikal Dill finishing second in a time of 56.93.